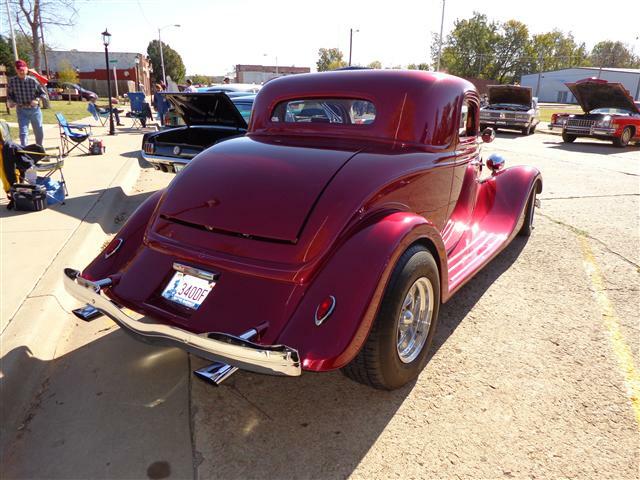 This month’s Great Oklahoma Classic is owned by Dennis Frailey of Sand Springs Oklahoma. Dennis is a member of the Dragin Master’s Car Club and attends many car shows annually, acquiring a large number of well deserved trophies! 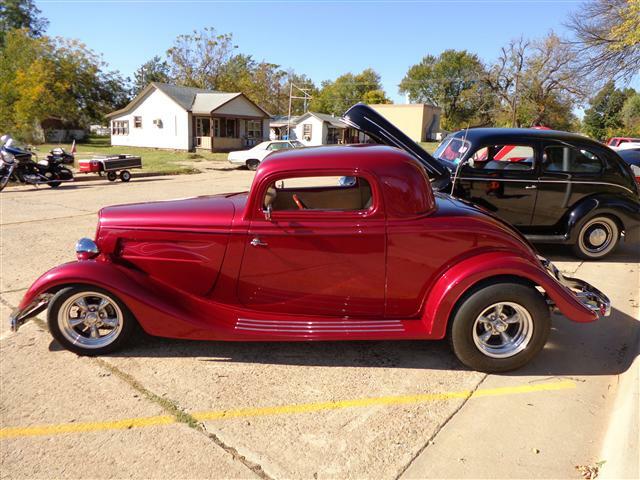 Just looking at this beauty puts you "In the Mood"
The 34 Ford Coupe was built in 2002 by Masterpiece Hot Rods of Colorado. 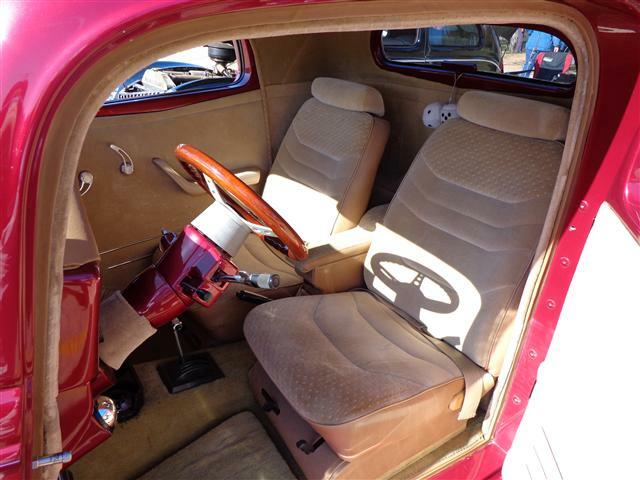 This custom builder is well known for their quality workmanship and beautiful paint work. 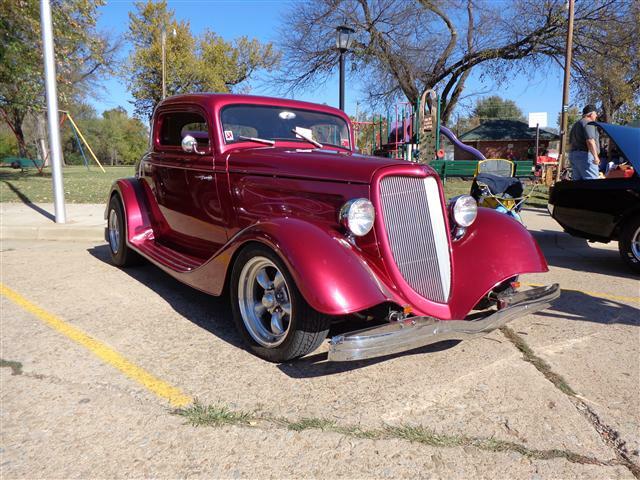 Dennis has owned this beauty for ten years and has put over 21,000 miles on this classic Ford Coupe. 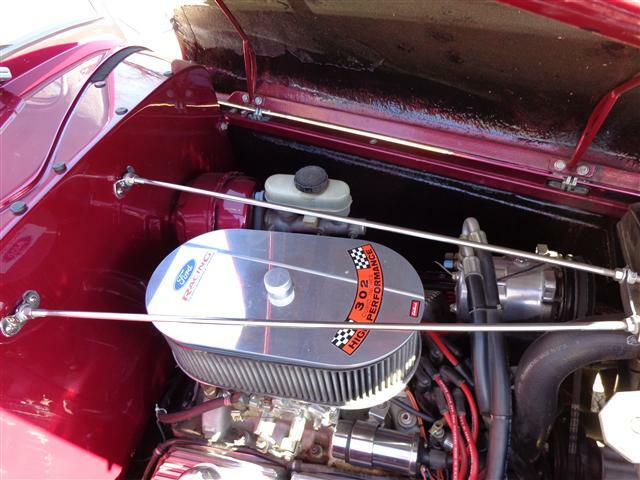 The 34 Coupe is powered by a Ford 302 High Performance V8 that produces 300 horsepower. The power gets to the rear wheels through a Ford C-4 three speed automatic transmission and a Lincoln Versailles rear end. The front end is fitted with a Heidts Super Rider Front Suspension. 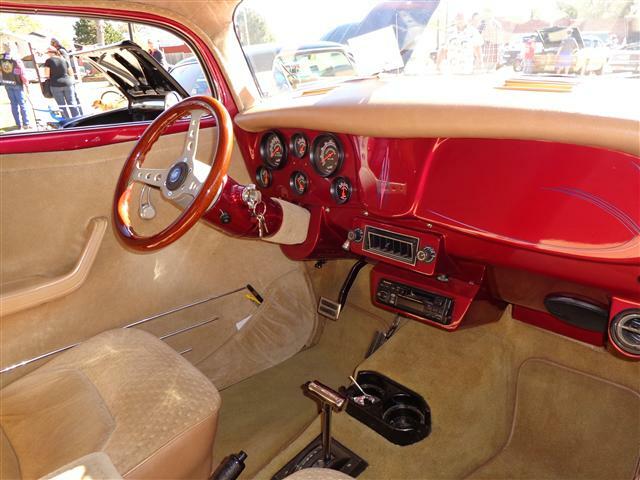 The interior is complete with a custom steering wheel, tilt steering column, custom gages, power door locks, air conditioning, stereo, padded dash and custom bucket seats. 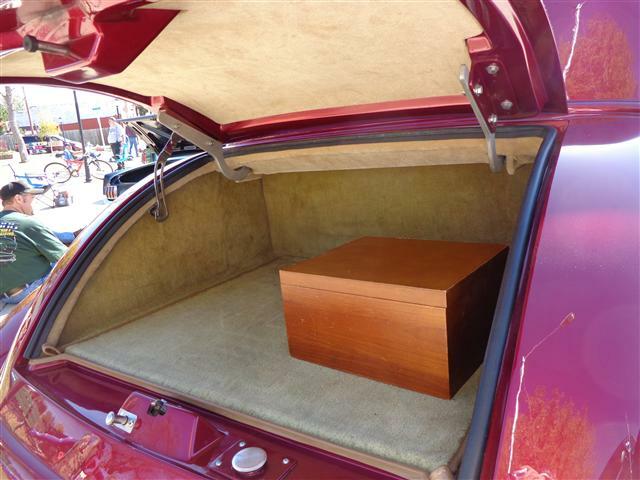 The trunk of the 34 Ford is finished to match the interior. 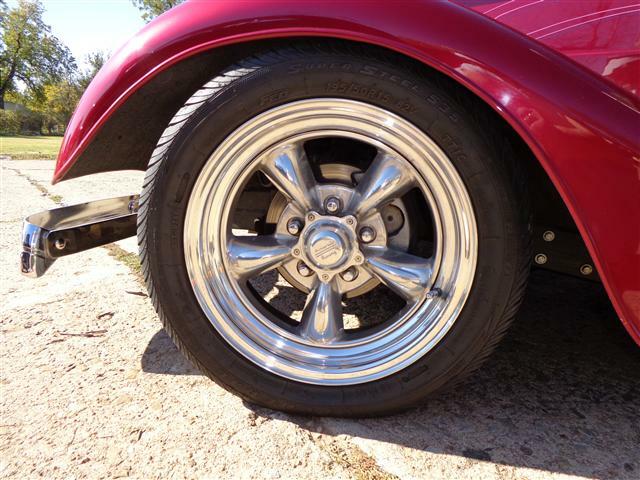 The Ford three window coupe is fitted with American Racing Torques Thrust II wheels with P195/50R15’s on the front and P255/70R15’s on the rear which give it that classic Street Rod stance. The rear of the 34 has classic tear drop tail lights and of course dual exhausts. 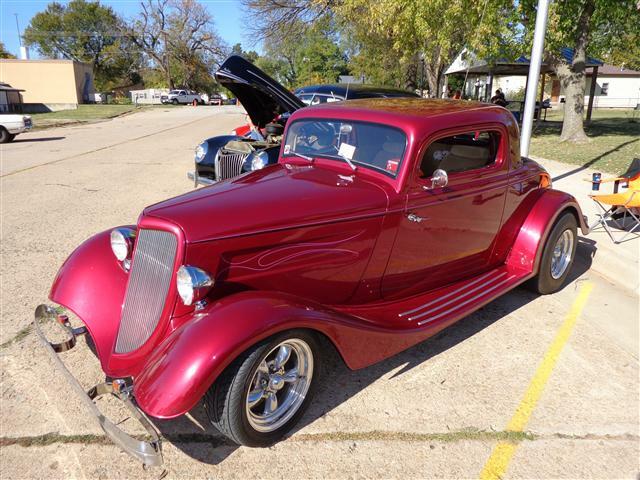 This custom three window coupe is painted an eye catching Raspberry Pearl. All the bright work is of very high quality and accents the beautiful paint work just right. 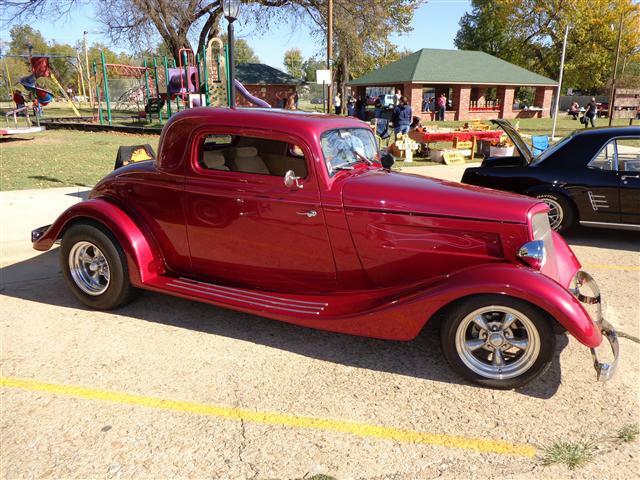 The Cimarron Starlite Cruisers sincerely appreciate Dennis Frailey for sharing his classic 1934 Ford 3 Window Coupe as our Great Oklahoma Classic for October 2012!